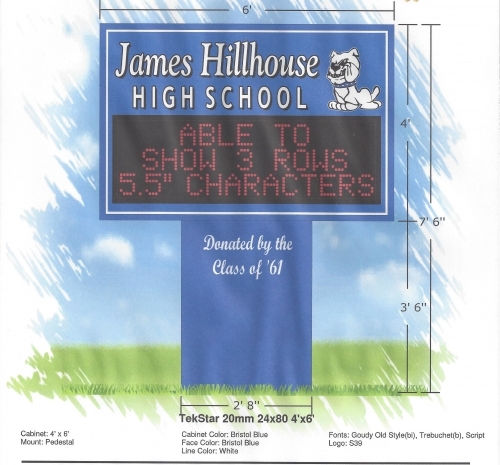 We purchased an electronic sign as shown below. 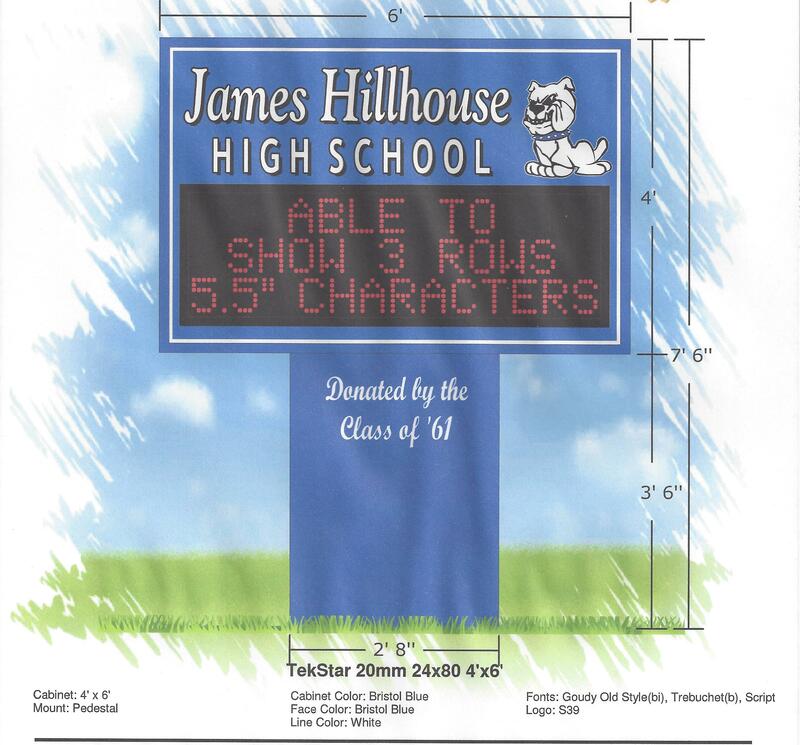 The sign will be installed prior to the start of the school year. The sign has been installed. See photos on the Photo Albums web page.